Bad habits can take a hefty toll on your health and happiness. In The Here-and-Now Habit, mindfulness expert Hugh Byrne provides powerful practices based in mindfulness and neuroscience to help you rewire your brain and finally break the habits that are holding you back from a meaningful life. Have you found yourself doing something and thinking, Why do I keep doing this? We all have an unhealthy habit-or two, or three. Yours may be as simple as wasting time on the Internet, constantly checking your e-mail, or spending too much time in front of the TV. Or, it may be more serious, like habitual drinking, emotional overeating, constant self-criticism, or chronic worrying. Whatever your harmful habit is-you have the power to break it. 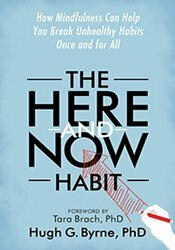 The Here-and-Now-Habit provides proven-effective techniques to help you stop existing on autopilot and start living in the here and now. You’ll learn how to cultivate mindfulness to calm and focus your mind, be aware of thoughts without identifying with them or believing they are true, deal with difficult emotions, and clarify your own intentions regarding unhealthy habits by asking yourself, What do I want? How important is it to me to make this change? By learning to pay attention to your thoughts and actions in the moment, you’ll discover how to let go of old patterns and create healthier habits and ways of living that will make you feel good about yourself. And when you feel good about you, you can do just about anything. Hugh Byrne, PhD., is a guiding meditation teacher with the Insight Meditation Community of Washington, He has practiced meditation for 30 years and been teaching mindfulness meditation since 2000. 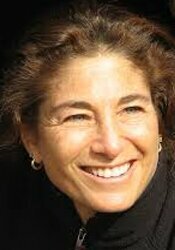 He completed a four-year meditation teacher training program led by Jack Kornfield and Joseph Goldstein at the two major insight meditation centers in the U.S. Hugh is trained in and teaches mindfulness-based stress reduction and completed a three-year training in Somatic Experiencing, a mind-body approach to healing trauma. He has a law degree from London University and a Ph.D. from UCLA. He teaches retreats and workshops in the United States and internationally and is the author of The Here-and-Now Habit: How Mindfulness Can Help You Break Unhealthy Habits Once and for All.